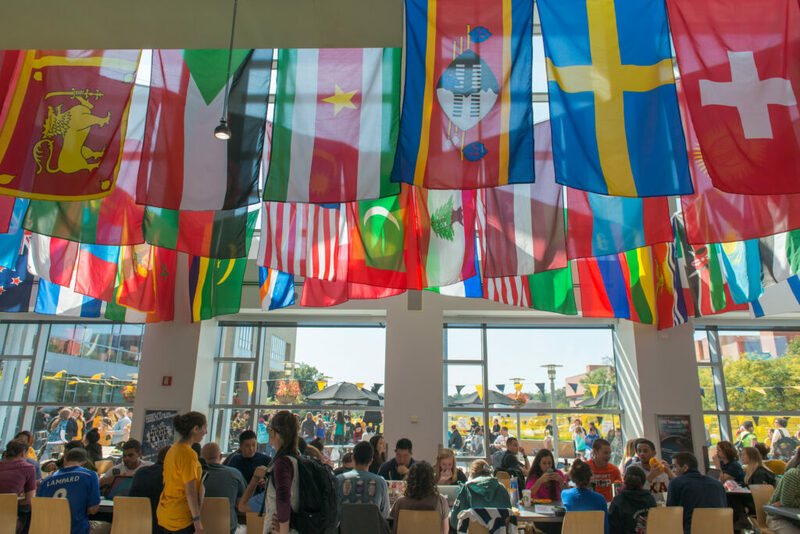 The article highlights UMBC’s growing national reputation in both teaching and research, including the most recent U.S. News & World Report rankings, which placed UMBC fourth in the nation in innovation and sixth in undergraduate teaching, in a list dominated by Ivy League schools. This theme of striving for greatness on a daily basis, through grit and determination, emerged again and again throughout the start of the semester, from the comments of new students to faculty and staff at the Fall Opening Meeting, to remarks by campus leaders during Convocation, to social media posts throughout Involvement Fest, where students encouraged one another to follow their passions, getting involved in organizations and issues that matter to them (#UMBCifest). 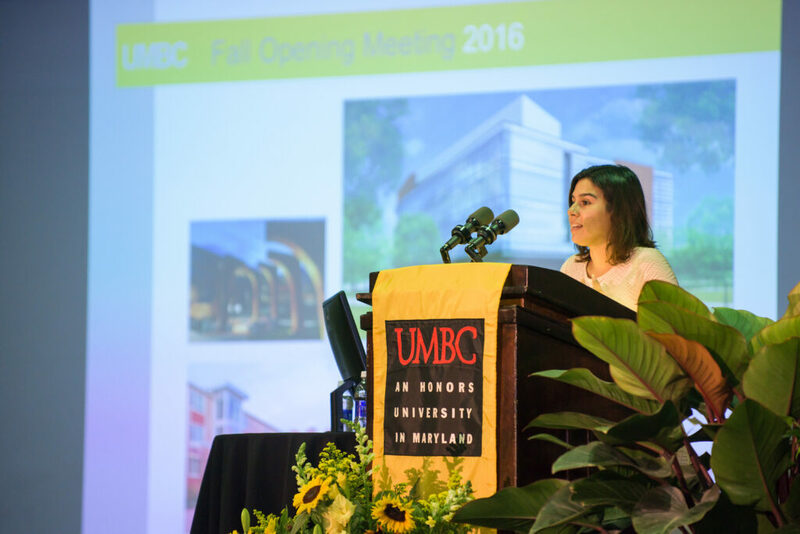 Maldonado plans to research intimate partner violence, and came to UMBC as a Princeton graduate after gaining earlier research experience with UMBC’s Chris Murphy, professor and chair of psychology. “I’ve only been here a little while, but I already feel at home,” she shared. There is my challenge to each of you – to think broadly, to dream about the endless possibilities for your own lives, and to prepare to change the world. The ineluctable question is, What will you do during the next 50 years of your life? Dreams and values. Welcome to UMBC. Read “A Catonsville university turns golden” on the Baltimore Sun website, and watch the moving video that accompanies the story. Learn more about UMBC’s 50th anniversary and the upcoming celebration weekend, expected to bring thousands of Retrievers and their families to campus. Images: True Grit at UMBC Involvement Fest 2016 (header); flags representing the nations UMBC students hail from, in the UMBC Commons (top); Ana Maldonado speaking at 2016 Fall Opening Meeting. All photos by Marlayna Demond for UMBC (bottom).